Welcome to Leaps and Bounds Sports Center in Denham Springs, Louisiana! 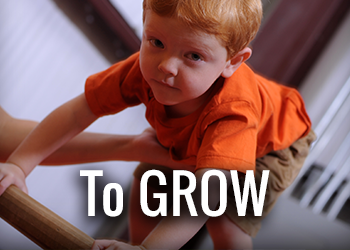 Leaps and Bounds is THE place where families gather to have FUN, to LEARN, and to GROW! Our facility in Denham Springs offers the finest children’s programming in Livingston Parish. We believe that every child is a champion. We believe in providing excellent training in an environment where the child comes first. We believe that participating in athletics should be challenging and progressive, but never at the expense of fun… or a child’s self worth. We believe that sports should serve as a springboard for lifelong health and fitness, as well as an enduring source of validation and pride. 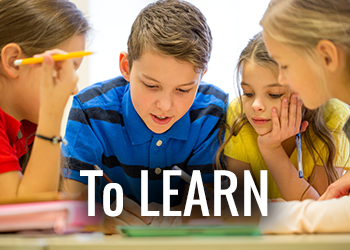 We recognize that each child is unique and that each child learns in his or her own way. We understand that each success, great and small, is important. Please browse our site for all of the activities, programs, and other information about our facility. Congratulations to our newest members of our Competitive Gymnastics Teams! Need somewhere for your kids during Holiday Breaks? Sign up for Summer Camp! We have you covered! Sign up by March 15th to get your camp sunglasses, water bottle, and extra camp shirt! designed with the goal of helping each child A new and exciting way for your Ninja to show off ! WHAT WILL YOU FIND AT LEAPS AND BOUNDS SPORTS CENTER? Leaps & Bounds Sports Center knows about having FUN! We believe that maintaining a proper balance between fun, learning, and growing are key to a child’s development and well-being. 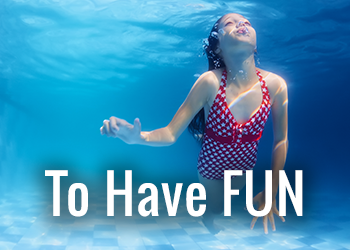 Check out our programs and see how much fun your child can have at Leaps and Bounds! 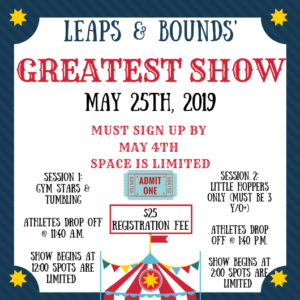 Leaps & Bounds Sports Center believes that each child should not only have fun while they are at our facility, but should also learn valuable lessons to apply to everyday life! We have several programs where you child will learn valuable skills and morals that they can take with them as the grow. Leaps & Bounds Sports Center builds each of our programs to help your child grow and build the necessary foundation for their adolescent and adult lives. By becoming involved in group activities and fostering teamwork skills, we help your child grow into a responsible and strong individual!